It's possible to buy all the parts, including raw microfibre, made in the UK, but there isn't a cheap range of welfare state pants in the shops. This site might help. This page just acknowledges some other ways of creating jobs happiness than the stuff about UK manufacturing, Someone might look at this site for a guide to this kind of stuff and although I'm no expert on most of this stuff, it seems polite to acknowledge. I'm no expert, but have just read a book suggesting that smaller and mixed farms get more food and less profit out of a patch of land; they also work better long-term. The same book lists some problems with GM crops and particularly the ones that Indian government promotes like the Monsanto seeds that only work for one year and require Monsanto sprays to make them work - a doomed enterprise for many Indian cotton farmers as well as for the long-term future of the industry. This leads to interest in the Soil Association's certified organic farming standards, of which I know very little - something to do with using compost instead of chemical firtliser and no pesticides. 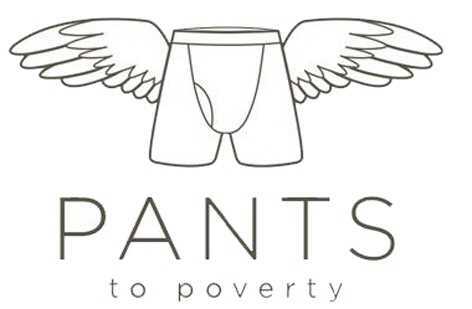 Pants to Poverty tried to sell cotton from an area of India which benefited from growing its own seed; Pants tried to support seed banks through a charity that never took-off called Pi, but the seed banks happened anyway with a large local company called Chetna Organic doing the work. There are variations. Products which are capable of being repaired, and probably will be, like a catering toaster, even if bought new. Gimmicky re-cycled gift-ware that makes a point, even if much more expensive than starting from scratch. Less gimmicky recycling that's low-key and hardily noticed, like packing blankets; products which will be sold-on or repaired, even if they are bought new, and products which will be given to charity shops, even if the export trade is hard to cope-with in Africa. So: simplest is an old product kept a long time or bought second hand. Every part of the world needs the ability to create new businesses, just to adapt to whatever comes-next. This could be a shortage of cheap imports, a surplus of people looking for different sorts of work, or a supplier country that wants to impose conditions or that you want to boycott. Bangladesh needs banks. London needs garment factories, and alternatives to the current awful banks. To favour these - just a bit on a whim - if you live in Bangladesh or London is a way of getting a bit of satisfaction. As satisfying as buying an advertised brand. A way of finding these less advertised businesses is a good thing. And food-miles or import-miles are good to avoid as well. Partly a nightmare of committees, when facing the vaguer issues at work, and partly a long-term stable way of doing business that concentrates on the point of it all, which is benefiting the people who are stuck working there. Other stake-holders like customers and investors can vote with their feet; staff find it harder, and have a longer-term stake in the business as well as more knowledge about it. So a firm like John Lewis or Unipart or Baxi Boilers ought to be worth encouraging and Chetna Organic is one, suiting the local habit of living in Clans rather than as singles and families - something which looks a bit odd to other Indians but seems to work. I write this off the cuff as an acknowledgement to something good that I don't know much about. - suppliers have to pay a living wage by local standards, meet a list of other standards, and pay a fair-trade premium into something like a trust fund to be spent as shop-floor producers want, such as paying for a well in the village or a visiting nurse to see current employees once a month. There might be a private hospital round the corner and government officials may visit in Mercedes cars, but if the producers themselves are poor and the country is poorly-run, that can be fairtrade. If you are an individual and you want to help people in a badly-run country, it's about the only thing you can do, and the trade is rather proud of origins at special markets held in public halls by the Womens Institute or Student Unions and charity shops, as well as the coffee isle in your supermarket or the banana bin. If the product doesn't compete with products from better-run countries, that's not controversial. Companies like Peopletree have added a PR budget to the process and seem to be quoted all over the place. On the other hand, fairtrade shops are loosing market share according to their trade association and need support, so it's understandable that their supporters got on the Ethical Fashion Forum bandwagon for a bit of cheap PR. Organic cotton from India was the gist of Pants to Poverty, because it helped farmers escape the pressures of bad sales practice and bad government in that country. Cotton is not grown in the UK although microfibre is made from cellulose. To choose this cotton is mainly to choose instead of other cotton from India the US or former Soviet republics. There is a shortage of cotton anyway. To claim that a product from Birmingham is less good than a Fairtrade product from Bangladesh is the controversial bit; Fairtrade is a kind of last resort for badly-run countries, so, I think, it is wrong to claim that a fairtrade product from there is better than a product from Birmingham. Spinning, knitting or weaving, cutting and sewing, are all done by threatened industries in the UK. To shrug and claim that it doesn't matter is even more controversial when Ethical Fashion Forum promoted goods of a vaguely ethical (not certified fairtrade) kind, in a way that meant what they wanted it to mean. UK producers of competing products have suffered bad government for ever; this is just the latest example. Veggie stuff cuts cruelty to animals - cruelty which is rather unpleasant to read. Some of this cruelty effects humans: animals are kept in crowded conditions and get ill, so they are given antibiotics, so we humans develop antibiotic resistance. The benefits are near-nil. We get protein on the supermarket shelves which could just as well be made in other ways; we develop a taste for it by association and over time, but we can also develop a taste for veggie stuff - even the stuff that puts other people off - if we want. In doing so we are likely to get a healthier diet with less fat and a bit less protein; we are less likely to become obese or diabetic. Veggie societies get more from their land. The most crowded parts of the world like China and Japan were traditionally vegetarian. To eat meat would involve feeding edible plants to animals, and then eating the animals to get far less food than could have been had by eating the plants. There are diagrams online of how many fields it takes to feed people from vet compared to the same fields feeding people from meat, and the difference is huge. There are points often put the other way. A lot of land is only thought fit for sheep, hikers, and wind farms; a lot more is covered in rain-wet grass usually used by cows. These points don't have to be answered as the market changes towards more and more vegan food and vegan leather alternatives; the market is not going to change 100% overnight, and the possibility of growing veg instead of grass and cows can be worked-out when it needs to be. Another approach by the UN "Livestock's Long Shadow" report notes how much damage is done in-passing by too many animals in too run-down a landscape, like North Africa. Slurry. Wear on the roads. Lack of plant cover. Expanding deserts. Disclaimers: This site does not have funding from Centre for Sustainable Fashion at University of the Arts' London College of Fashion, Fashioning and Ethical Industry, Delphe Development Partneships in Higher Education from the British Council in Dhaka, UK AID from the Department for International Developemt, or UNIDO United Nations Industrial Development Organisation, all quoted in a funded publication which listed firms like Pants to Poverty and the fictional Juste and ended "information from the companies themselves ... unverified", as one or two of their academic articles like this do.. This site does not have awards from Delloitte, nor legal help from Hogan Lovells, nor a free youtube advert from Leo Burnett, nor did it get a large grant from an off-shoot of the Cabinet Office called Social Enterprise UK. It was not awarded Development Awareness Grants nor allowed a stall at London Fashion Week.